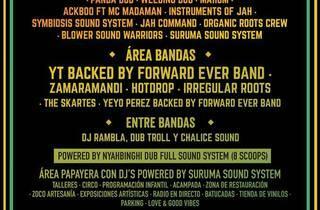 Madrid's reggae festival par excellence is celebrating its third edition in fine fettle. From the 18th to the 20th of September, the Organic Roots festival is back at the Tres Cantos fairgrounds with concerts, conferences, workshops, drum circles, kids' activities and, above all, a great atmosphere. So who's on the bill? 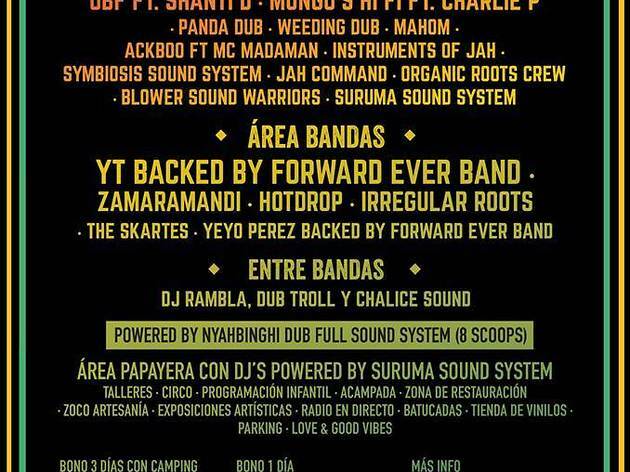 Artists doing their thing – dub, roots and reggae – divided into three areas. The dub area features performances by Aba Shanti I, Channel One, OBF ft Shanti D, Mungos HiFi ft Charlie P, Panda Dub, and many more. The bands will be represented by loads of national artists such as Zamaramandi, Hotdrop, Irregular Roots, and The Skartes, and you can also groove along to the sounds of Guacamayo Tropical, Selekta Lou, La Selva, and Radio Rasta, among others. As in previous editions, there's a campsite near the concert venue, and the price for pitching your tent is included in the three-day ticket pack. New this year is the special collaboration by the CUE (Circo Unido Encuentro), so jugglers and acrobats will be among special guests as well.